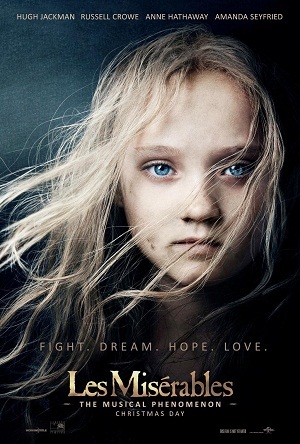 Deeply emotional but still very entertaining, Tom Hooper’s Les Miserables is able to show a great story of redemption, revolution and love. Based on the well-celebrated novel of Victor Hugo, the film was about Jean Valjean, a recently released convict who broke his parole to start a new life. Even though he succeeded in changing himself for the better by owning a factory of his own, he found it untruthful to be hiding under a different name. Honest as he was, he risked being taken into prison again while trying to fulfill a promise to one of his female workers: to look after her (illegitimate) daughter. Would he be able to fulfill his promise considering he’s being hunted by the authorities? What participation were he and his adoptive daughter going to have in the impending revolution to abolish monarchy in France? All these questions and more would be answered by the film. I couldn’t remember watching a movie that has almost all of the dialogues are being sang by the movie’s actors. Right from the start until the very end, this movie had actors singing tunes. Thankfully, the songs really marked the event or the emotion needed for the scene. There were only a few familiar songs, but this didn’t matter because the other songs were good to the ears. I liked the blending of the actors’ voices, and the sort-of mash-ups of some of the tunes. The best feature of the movie was the exceptional performances of its actors. Hugh Jackman stood out as the movie’s lead character, Jean Valjean. He effortlessly acted and sang (in tune!) at the same time. Anne Hathaway, which is favored to win the Academy Award for Best Supporting Actress, transformed really well into her role as Fantine, the factory worker who turned prostitution for the sake of her daughter, Cosette. She deserves all the accolades she’s been receiving just by considering her raw performance of I Dreamed a Dream. Amanda Seyfried, as always, seemed to turn every scene where she was in bright and beautiful. She’s always a delight to the eyes, plus, she didn’t fail to live up to her role as Cosette. Russell Crowe turned out good in his performance as Javert, one of the authorities. Even though he was not able to sing really well during his song performances, he’s able to pull out the emotions needed during his scenes. Helena Bonham Carter and Sacha Baron Cohen greatly impressed as the characters who brought lots of laughter in this heavy drama-laden movie. Others who also impressed include Eddie Redmayne (as Marius, Cosette’s lover), Samantha Barks (as Eponine, the secretly-in-love friend to Marius) and all the child actors in the movie. The film had impressive production design. Nineteenth century France looked well and alive in the movie. The structures and the costumes of the people during those times were well-represented. Tom Hooper proved that he was not a fluke when he won Best Director for his film, The King’s Speech, in 2010. He directed his actors well in this movie as seen by the good timing of their acting and proper reactions on their faces in each scene. Even though the war part of the movie was not that extravagant as what we see in Spielberg movies, they were enough to be considered good. If you’re a fan of the book or the musical of the same name, watch this movie. If you want to cry, watch it. If you want to be entertained for almost 3 hours, watch it. But if you’re not a fan of seeing actors singing in movies, skip this one. 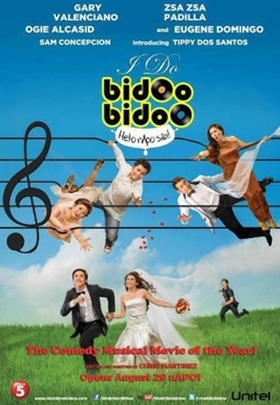 I Do Bidoo Bidoo was highly entertaining, very engaging and truly heart-warming. Out of several Filipino commercial movies that I’ve watched this year, it certainly tops them all. After hearing many people say it was a good movie, I did not hesitate to watch it when I had the chance. In fact, I have convinced old friends to choose the movie over the others. And I’m glad we did. The plot of the movie was simple. Two young lovers from two widely different families wanted to wed not just because they were in love but also a baby’s coming their way. As expected, the two families, especially the parents, hated each other resulting to a disastrous pamamanhikan that nearly destroyed the lovers’ engagement. Would they still be able to get through all these family issues? That’s what the audience has to find out. Haha, I was kidding. I know you know what happens in the end. But the movie’s still worth-watching because the story’s still very relevant to this day. More than that, the execution of each scene was beautiful. No scene was wasted. Everyone’s sure to be entertained from start to finish. I liked the performances of the actors in the movie. They were able to capture the emotions needed during the scenes. I liked best what veterans Eugene Domingo and Zsa Zsa Padilla did as well as the what the younger ones Tippy dos Santos and Sam Concepcion showed. The singers who signed up for the movie did well during their song and dance numbers. Surprisingly, even those not famous for singing or performing revealed they could also do what the singers could. Who would have thought Neil Coleta (famous for his Coca Cola commercial last year) could sing APO’s “Mahirap Magmahal ng Siyota ng Iba” or “Kaibigan” in tune? Or Jaime Fabregas with his seriously wacky rendition of “Do Bidoo”? 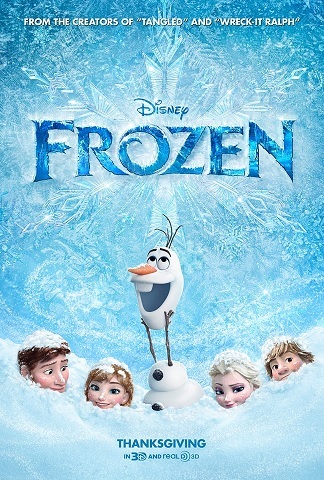 Even Eugene Domingo was able to sing in this movie! I guess the heart of the movie was the APO Hiking Society’s timeless classics. The too familiar romantic story of poor boy and rich girl still worked because the songs of APO (that encompass various themes and emotions) were strewn well in the story. Chris Martinez (director of the hit comedy, “Here Comes the Bride”) is fast becoming that director whose movies are to look forward to. His latest work did not disappoint, considering this film was a musical. Of course there were cheesy moments, but those moments won’t make you cringe. Instead, they would make you tap your hands and feet or bump your head in the air while hearing the songs of APO because they were that good.